We know it can be difficult to get your holiday shopping done after work. 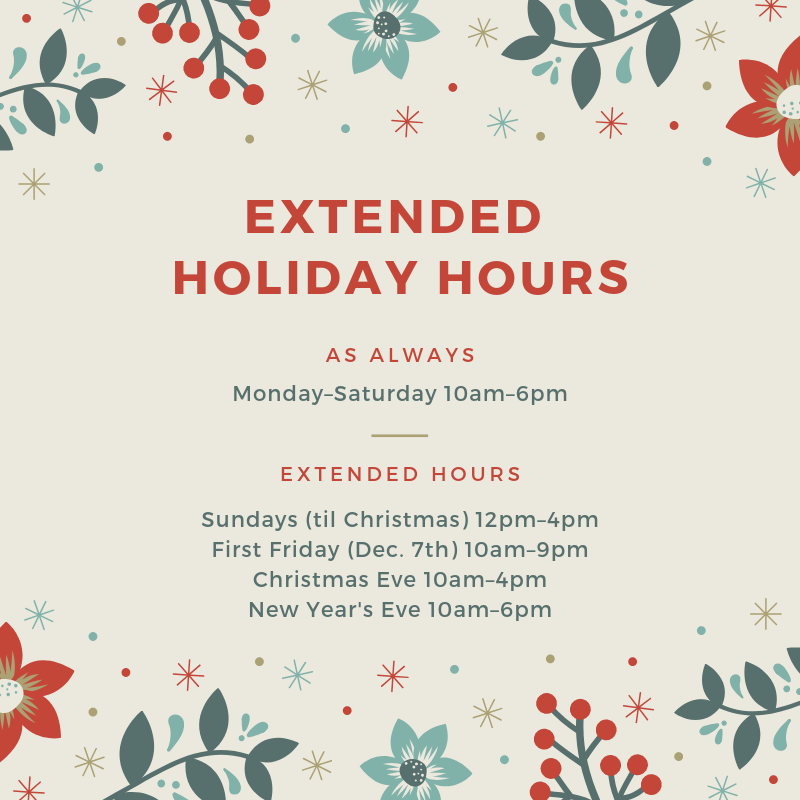 That’s why we’ve extended our hours during the holiday season. We will be closed on Christmas Day and New Year’s Day.